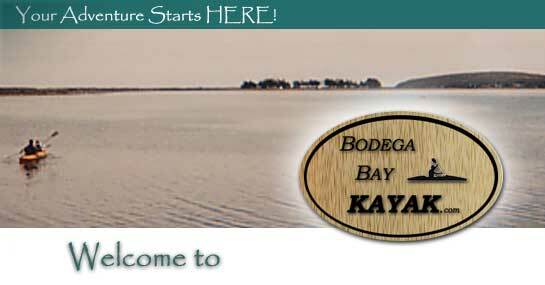 Bodega Bay Kayak offers many different tours, customized for your individual taste and needs, whether 4 or14 kayakers -- OR more!! We offer many choices and venues to make your experience unforgettable. Our tours are fun and safe while learning about the basics of kayaking and local wildlife such as plants, history and marine life. Tours arranged according to personal taste and interests. Our most popular tour. Cruisealong the Bay enjoying the seals, rays and the abundant birds that flock to the Bay. This tour is a great way to get away from the hustle and bustle of the busy life. 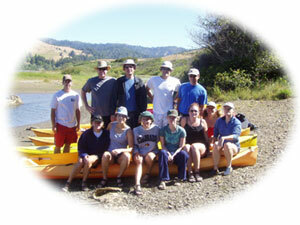 This is a leisurely and quiet tour along the banks of Salmon Creek. Enjoy the breathtaking views of Bodega Bay Head and the Sonoma Coast then stop at a pristine beach to enjoy a picnic lunch then stop on the way back for some wine tasting at Gourmet Au Bay. Experience captivating scenery along the Russian River edge. Relax while watching birds and seals play where the Russian River and the Ocean meet. Estero Americano to Open Ocean to Bay. This tour is a longer distance tour for those dedicated for some serious distance paddling. Seal Rock Tour. 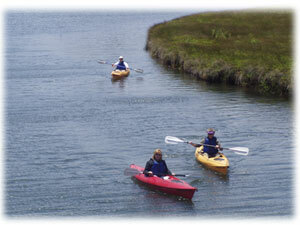 This is an intermediate paddle to the inner part of the Bodega Head, next to Seal Rock and then back into the Bay. Our Favorite....Fort Ross Cove Tour. Please allow time for driving 45 minutes to Fort Ross State Park. This is an intermediate tour well worth the drive. 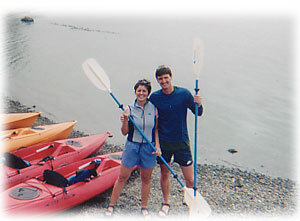 Put in at Fort Ross Cove and paddle the coves and inlets of the Northern Sonoma Coast. Plenty of seals and pristine beauty. Our favorite. Bigger groups are welcome. Kayaking is a wonderful way to relax with co- workers and friends and enjoy each others company.